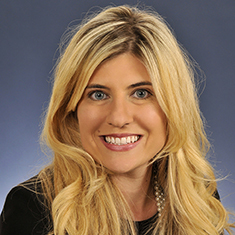 Christina L. Costley focuses her practice on complex business litigation. She represents public corporations and their officers and directors in securities class actions, shareholder derivative lawsuits, Securities and Exchange Commission enforcement proceedings and internal investigations. Christina has handled several high-profile securities class actions, including cases involving GW Pharmaceuticals, Amarin, Insmed, Ormat Technologies, and International Rectifier. She has also handled cases involving mergers and other similar fundamental corporate transactions, including cases for DemandTec (IBM) and First PacTrust Bancorp. In addition, Christina has represented software companies in all forms of litigation, including trade secret, breach of contract, and consumer class and mass action claims. Christina has substantial trial experience. She has first-chaired 15 jury trials and successfully litigated dispositive motions in several class and mass actions, including Hoskin Hogan v. BP West Coast Products LLC, et al. (dismissal of software negligence claims), In re Amarin Corp. PLC (dismissal of securities fraud claims by district court, affirmed on appeal by Third Circuit), Nguyen v. MaxPoint (dismissal of class action claims arising out of an IPO by the US District Court for the Southern District of New York) and Hoey v. Insmed Inc. (dismissal of securities fraud claims by the US District Court for the District of New Jersey). She has also successfully opposed cases involving requests for injunctive relief, including Noble v. AAR (successfully opposed request to enjoin shareholder vote in Illinois County Court) and Conye v. Kensey Nash Corp., et al. (defeated request to enjoin shareholder vote in Delaware Court of Chancery). In 2014, the Daily Journal included Christina on its "Top 20 Under 40" list. The annual list honors the best and brightest in California's legal industry based on book of business, practice area, key victories and other noteworthy successes. The award recognized Christina's accomplishments in litigation arising out of executive compensation. Prior to joining Katten, Christina was an associate at Wilson Sonsini Goodrich & Rosati and Sheppard Mullin Richter & Hampton LLP. While in law school, she was a member of the California Law Review and Honors Moot Court Board and received the Prosser Award in Federal Criminal Law. Shown below is a selection of Christina’s engagements.